The Pic-a-daily Project: I see Puffs, Daddy. Traveled for a weekend in February. 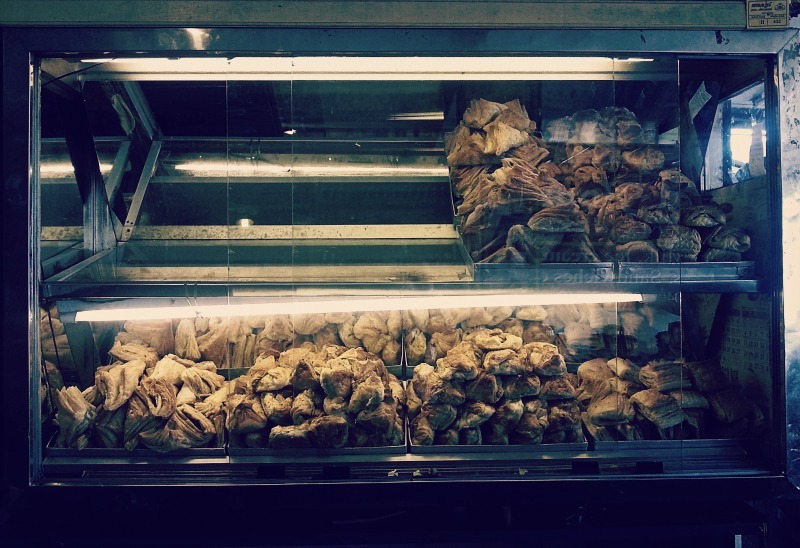 Across Kerala, and perhaps India, the infamous puff pastry a.k.a Pups sits behind glass shelves, both young and old just waiting for their turn to be picked. The shop keeper would most likely microwave it for you, meaning the chances of knowing if they were old and rock solid, are pretty slim. Nevertheless, that aint stopping anyone from having them. It didn't stop me either. And yes, they did taste old, but hey - i ain't letting go of a chance to have chicken pups. Teashop before Allepey Town, Kerala, on National Highway # 47.